Limits recruitment, onboarding and training costs. But sometimes the “why” doesn’t lend itself to a straightforward “who” (e.g., are top performers being identified accurately?) or “how” (e.g., habits or practices that reliably reduce turnover). By developing good habits for retaining top talent, an HR professional can lead an organization’s efforts in stemming the costs of undesirable turnover. For the third consecutive year, the 2018 SHRM/Globoforce Employee Recognition Survey found that 47% of HR leaders see employee retention and turnover as their top workforce management challenge. As long as economic conditions allow for a steadily high rate of turnover, this trend is expected to continue. Talent acquisition and retention need to be aligned in order to ensure avoidable, dysfunctional turnover is kept to a minimum. 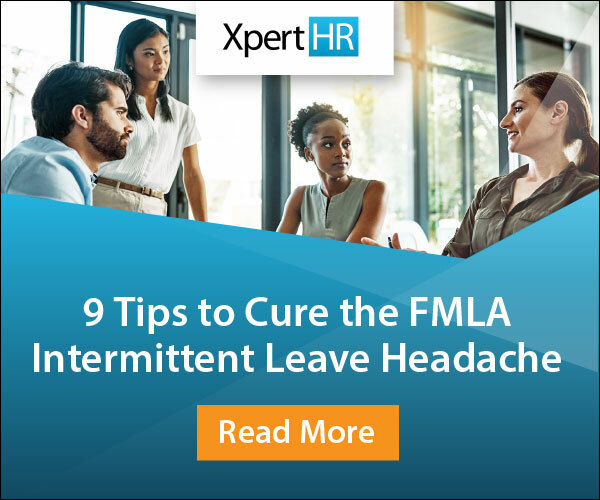 To harmonize these processes, an employer must learn to view the hiring process as fundamental to increasing retention rates. Studying the traits that top performers possess, and identifying those same traits in candidates, may help curb future turnover. In addition, engaging in behavioral interviewing techniques may ensure that an individual’s goals are aligned with the company’s goals. The prospect may then find his or her work truly meaningful because the attainment of the organization’s goals also furthers his or her own aims. Performance management processes and metrics should return actionable data that enables HR to identify top performers. An overreliance on annual performance reviews, for example, may yield skewed, inaccurate or incomplete information on an employee’s year-over-year performance. More frequent feedback processes, such as monthly check-ins, will produce more up-to-date information that may better inform a supervisor of a particular employee’s (dis)engagement. Supervisors should be generous with constructive feedback, and especially so with praise. Make sure that your top performers know that they’re doing well, and recognize their achievements (whether formally or informally) on a regular basis. Whether the change will improve or maintain existing levels of performance and proficiency. Merely doing what is popular in some industries may not work for each organization. Measuring the ROI of a proposed change could prevent a change that may detract from existing levels of employee performance. For example, if offering fertility benefits would yield positive results when recruiting and retaining talent, then by all means implement the change. If, on the other hand, offering increased workplace flexibility would compromise already successful collaborative processes, then do not offer that particular perk. Balancing corporate goals and employee preferences is vital to designing an ideal total rewards package. An organization should focus on making its locations the very best places to work, where employees are respected as critical members of the greater team. One way to achieve this goal is to promote transparency in communications. Business communications (whether at corporate, team or individual levels) should be consistent, candid and honest. In addition, traditional corporate boundaries among management levels should be relaxed so that employees enjoy communication opportunities with senior management. Increased opportunities for access should be offered to new hires and top talent. Finally, it is beneficial for top talent to be familiar with corporate goals and priorities so that they can work towards advancing the business. Once retention challenges are identified, then efforts must be focused on improving processes and reducing dysfunctional turnover. If employees just aren’t that into you, work to change that. As Dear Abby once said, “A bad habit never disappears miraculously. It’s an undo-it-yourself project.” Repeating actions that promote results, and refraining from actions that detract from results, can and should become habit. Not sure where to begin? 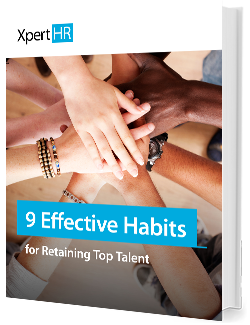 Learn about XpertHR’s 9 Effective Habits for Retaining Top Talent. What effective habits for retaining top talent have you seen practiced at organizations? Please tell us in the comments below.